Weight: 0,800 kg / 0,400 kg. 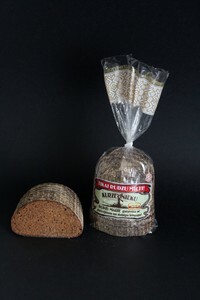 Rye bread "Kurzemnieks" also is one of the most popular products of our assortment. Reason is pretty simple - it is made out of only rye flour with scald and natural yeast. All process of baking takes 36 hours and it is 100% hand made product. This bread is our pride and happiness, and it is also rewarded in different exhibitions by receiving golden and silver medals. Weight: 0.500 kg / 0.275 kg. 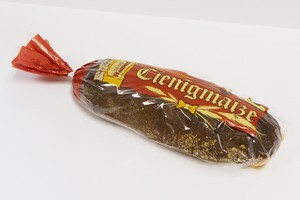 Rye-wheat flour bread "Cienīgmaize" is recognizable for its perfect combination of wheat and rye flour proportion. 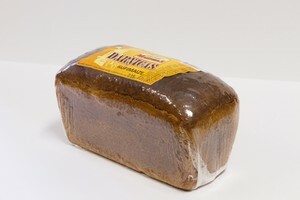 Also size of this bread is very useful, in case You have a small family or You decided to buy small bread for picnic or other outside activities. 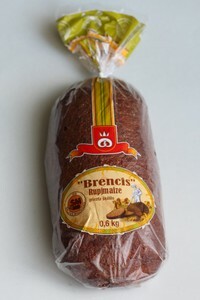 Rye-wheat bread "Brencis" has the most oldest recipe in all the history of "Saldus Maiznieks". This bread remains tasty and enjoyable through the years and our customers love it because of its perfect combination of wheat and rye flour. This is our "usual" sweet-sour bread. It is lighter and with not so much cumins, and children love its taste. 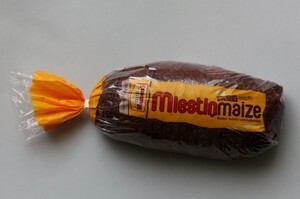 "Miestiņmaize" is sweet-sour bread, what is made with scald, natural yeast and cumin. Taste of this bread is amazing, especially when You put butter on top of it. It is taste, that goes far beyond Your imagination! 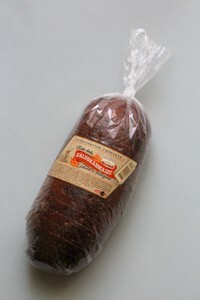 This is one of the most popular products of "Saldus Maiznieks", Ltd. Every month we produce around 10-15 tonnes with this kind of bread, because it is so loved by our customers - probably because taste and image reminds them their childhood, when this bread was very popular. Bread is available not sliced, sliced and also in half.